Aw, that is hard having to say goodbye to friends. Luckily, Dane is a very outgoing little boy so he will quickly make new friends at his new school. Yeah, I know he will make new friends within minutes of entering a new classroom, but it's sweet that he cares about and loves his current school and friends so much. hi! i found your blog via your RA profile, i hope you don't mind! just wanted to check out your blog and say "thanks!" 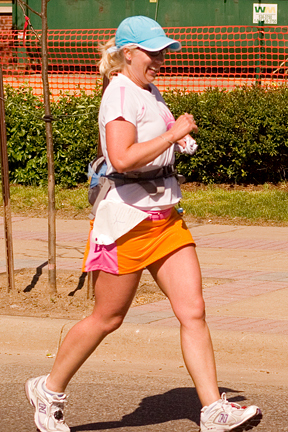 for the tips re: running skirts! i've got an order going already! ps i am a montessori teacher and this entry made me feel very, very "awwww"! one of the greatest things about montessori is that it builds social learning and social skill as much as it builds other cognitive skills-- your little fellow will make new friends easily! congrats to the graduate!